This is your last chance to save on Sony Full Frame and APS-C cameras. 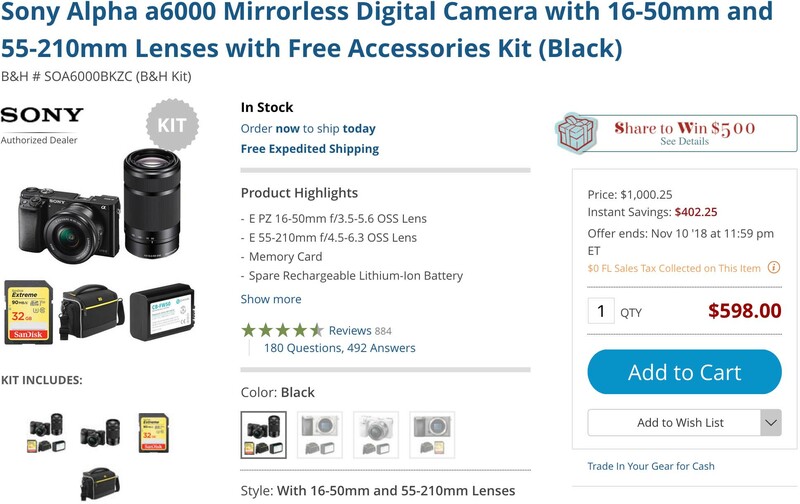 Sub $1,000 Full Frame cameras are finally within reach for most and the opportunity should not be missed if you’re an APS-C Sony user. 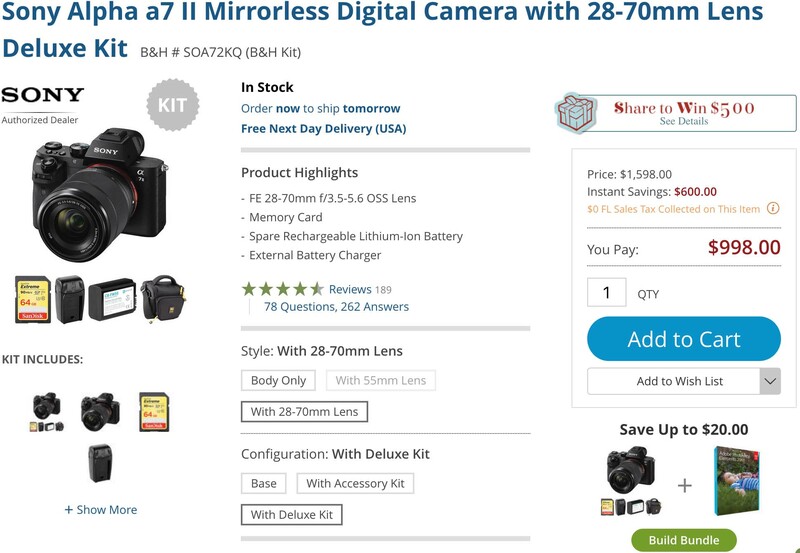 This entry was posted in Deals, Sony a6000, Sony a7 II and tagged Sony a7II. Bookmark the permalink. Trackbacks are closed, but you can post a comment.